Above: Salaha Rash and group of friends who dig graves for free in their spare time, just to help the local community. I was at the Globe newspaper last week, and met with reporters and journalists who work for the same paper. One of them had a very interesting story that I wanted to share with those who read my blog. Not long ago I wrote a piece about Mam Najat who looks after mentally insane people voluntarily, now meet our new friend Haji Salah (56 years-old) who in his spare time along with his group of friends dig graves to help families who have just lost their loves ones. Haji Salah does not mind whether you are Muslim or Christian, he does not mind if its early morning or late at night, he is ready to leave his family at home and voluntarily help people in their darkest and most stressful hours… (I must emphasize this is all for FREE). For eight years now, Haji Salah (or as locally know- Salaha Rash) and his team of male friends have been digging graves. They have all the basic equipment they need. One must not forget that some families are confronted with financial difficulties as the mourning ceremony for the passed away loved one may cost a large sum of money– to have the grave dug for free helps them, even though in a small way. 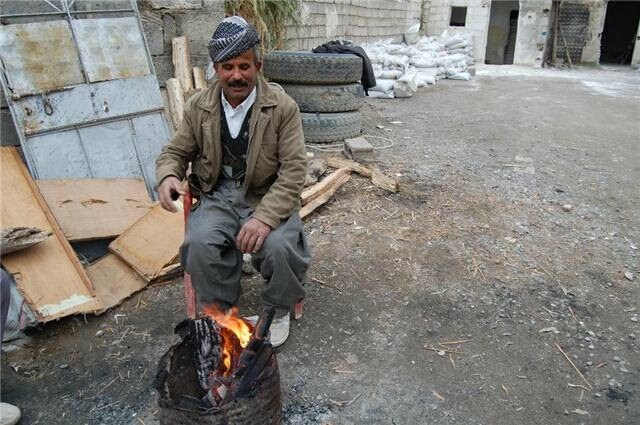 There are many Kurds who do a lot of good for their community, but not much light is shed on them. I was introduced to a person last week who gives his spare time to a group of children on a busy street, during school hours he helps children cross the road. Simple things, that make great differences. 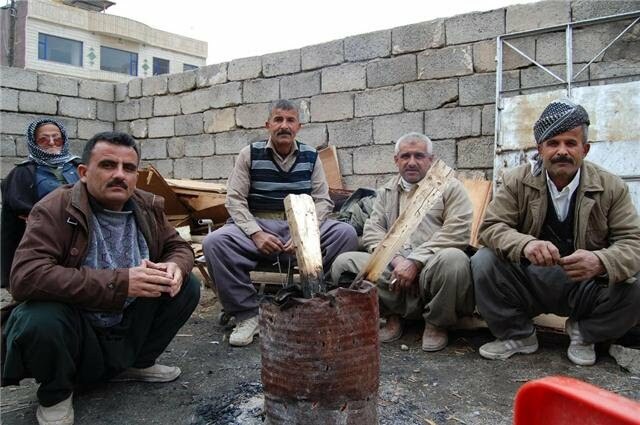 All these depict one important picture about Kurdish people- they are ready to help at any cost. I know him ,he is a devout man, I have seen by myself that when there is a funeral , our relatives and friends are calling him he and his team will attend without any hesitation to help people over there to deliver him to his final resting place .